Websites like Time Magazine and Booklist love to list the “best” young adult (YA) novels of all time, with lists reaching to 50 or 100 novels. Any such list is bound to be subjective. What, after all, are the qualifications that make a YA novel “best?” Is it the book’s appeal to its target audience of middle- and high school readers, or its enduring appeal to adults who first encountered the book in their youth? While it’s tough to pin down the qualities that make a book “deserve” to appear on a list like this one, these are my five favorite YA novels that I’ve read. FYI, I’m leaving off the Harry Potter series, not because I don’t love them but because everyone knows how great the series is and it’s time to give some other books the spotlight. This relatively short, stand-alone novel about the friendships and familial bonds of a parentless group of teenage boys is set in the 1950s, yet never stops being relevant for each new generation. It packs powerful lessons about how to be a good friend and about how suddenly life can change in an instant. Any kid going through a painful transition can identify with Ponyboy Curtis (except maybe for the fact that his late parents named him Ponyboy). Sophie Hatter isn’t a typical YA heroine. In fact, she spends much of the novel magically transformed into an old woman. But Sophie is brave, clever, resourceful and, although she doesn’t realize it, magical in the face of her infuriating friend/sometime antagonist/future husband Howl Jenkins and his illogical problems, the least of which is that moving house whose every door opens into a different world. The book is an entirely different animal than the Hayao Miyazaki movie loosely based on it, but each is enjoyable on its own terms. Although it doesn’t often appear on lists like Business Insider’s 37-book list, as a bonus, the book’s sort-of sequel Castle in the Air is also well worth a read. It’s a different sort of princess tale, one that involves quite literally every kind of princess in the world, from the infant to the elderly. The three books in this series feature another non-typical protagonist, young Lyra Belacqua, in her non-traditional upbringing at an Oxford University in an alternate universe. What begins as a quest to find a missing friend becomes an epic adventure, not only to the frozen North of talking warrior polar bears but through the multiverse, eventually causing Lyra to cross paths with a godlike figure. Her universe will never be the same, and neither will Lyra. Expect tears, but also expect to learn what Philip Pullman understands about the nature of love, which is a truly profound lesson. Okay, this one is peripherally related to the Harry Potter series in that the protagonist, Cath Avery, is a fanfiction author devoted to the world of Simon Snow, the fictional chosen one of Watford School of Magicks in Cath’s realistic world. Rowell addresses, with humor and empathy, the slow slide from childhood into adulthood as Cath adjusts to her first year of college and finding her own voice apart, for the first time, from her twin sister Wren. Palindromic protagonist Stanley Yelnats may have been doomed from the moment his no-good-dirty-rotten-pig-stealing-great-great-grandfather set sail for the New World. Falsely accused of theft, he finds himself digging holes in the desert at a camp populated with boys paying a harsh penalty for their mistakes. He learns a great deal about friendship and obligation while surviving a harrowing adventure with venomous lizards, a stagecoach robber, and double-dealing camp counselors. Young adult fiction has produced some truly amazing works, but I enjoy these books. 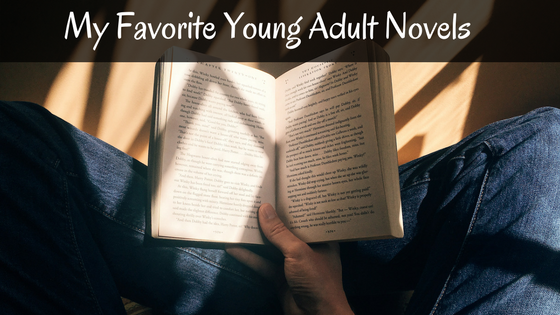 What young adult novels are your favorites?